I love houmous, I think I could eat it until it came out of my ears! This houmous recipe is quick and easy to make and is super versatile. It can be made with different beans or you can add spices to change the flavour. I have to confess I don’t tend to make houmous very often, I usually buy it, I’m not organised enough to remember to make it in advance! It is a great snack to have in the fridge for all the family. My little girl loves it so when I need a quick snack for her I grab it out of the fridge and give it to her with some breadsticks. I aim is to get more organised and make houmous more often as the shop bought brands are quite high in salt. I’ve played around a lot with houmous recipes to try and get a consistency and taste that I like. I have found the best way to get a smooth consistency is to add a splash of water, especially as personally I prefer it not to be too oily. I’ve recently experimented with cooking the garlic first so that it isn’t as bitter as raw garlic and this works really well. The garlic can be roasted in the oven but if the oven isn’t on then I find the easiest way to do it is in a pan. Leave the garlic cloves whole and crush them with the skin on. Place them in a frying pan with a splash of olive oil and toss them regularly until they are soft. Remove the skin and then add to the food processor. Most of my clients don’t have tahini in their homes and if they do it often goes off before they have had a chance to use it. Therefore this version of houmous uses toasted sesame oil instead. This vegan guacamole recipe is super easy to make and tastes delicious. During our baby yoga sessions we talk about weaning and the importance of encouraging children to try lots of different flavours from a young age. This guacamole is perfect as the avocado makes it nice and creamy whilst the basil and lime give it flavour. I love to add a couple of drops of tabasco sauce to mine which goes down a treat with my one year old! However, when I made it for my baby yoga class to try I omitted the tabasco so as not too put any of the children off! Avocados are fantastic for babies (over 6 months) and toddlers as they are very nutrient dense and have a high fat content which will help to fill them up. In addition the cream texture is usually a hit with most babies. I like my guacamole to be smooth but you can make it chunky which is a great way to encourage your baby to try new textures if you have started with purees. You can buy guacamole from most supermarkets, however they often include preservatives and are filled out with other ingredients such as rice flour and salt. Personally I think it is so easy to make that I would never bother buying it, especially as most brands include milk based ingredients and vegan versions seem to be more expensive. Guacamole isn’t just for babies either it works fantastically with my chicken fajitas recipe too. 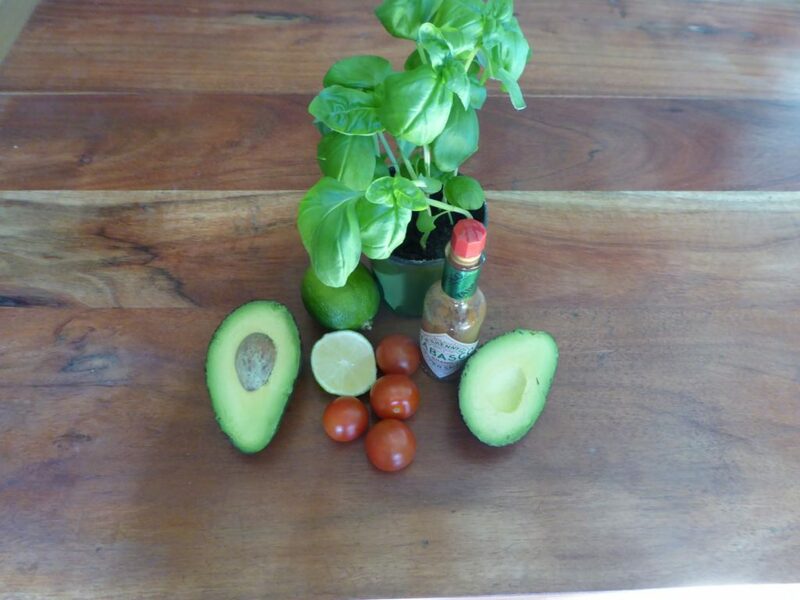 If you’ve enjoyed my guacamole recipe then why not check out more toddler friendly recipes or more of my vegan recipes. I often hear people complaining at this time of year that they are feeling more run down and getting more colds and winter bugs. 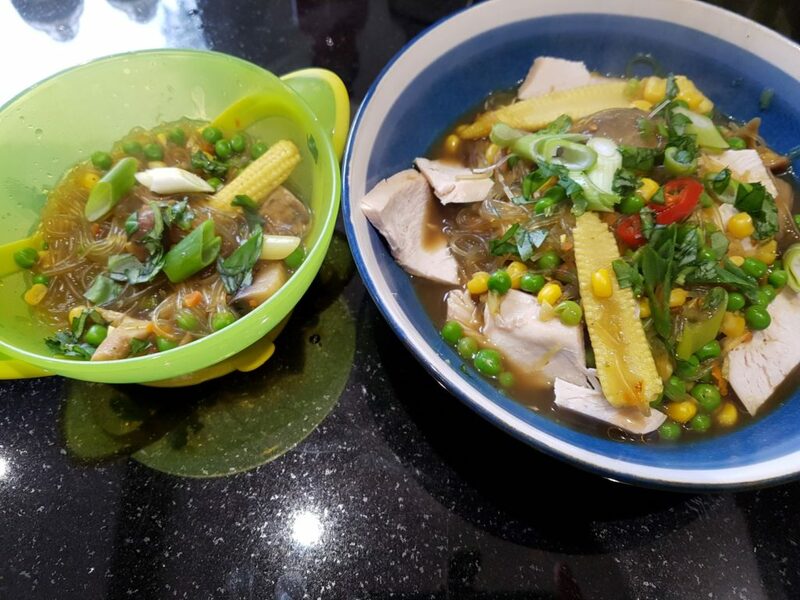 Because of this I recommend this cold busting broth to my clients as it’s a fantastic way to give your immune system a boost. 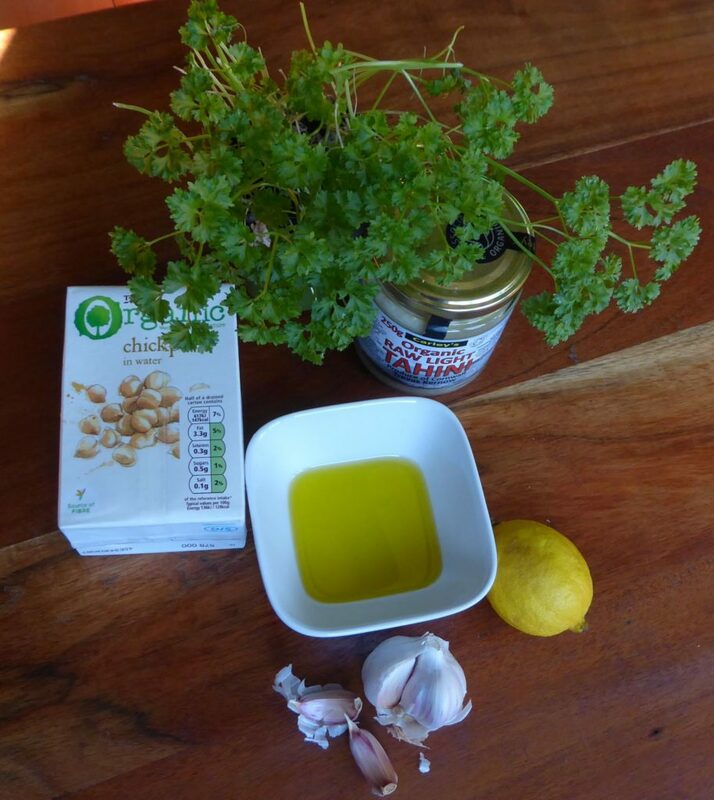 It is packed full of anti-inflammatory and anti-oxidant properties, is quick and easy to make and tastes delicious! My friends often request that I make it when they come to visit. It can be made with tofu for a vegan version or chicken, if you prefer. Alternatively, I like to make it with left over roast chicken. The soya sauce can be replaced with tamari to make the dish gluten-free. I recently made this cold busting dish with a large pinch of grated fresh turmeric instead of powder, I love how versatile this dish is. If you’d like more tailored information on who to support your immune system during the winter months then why not email me for a consultation? 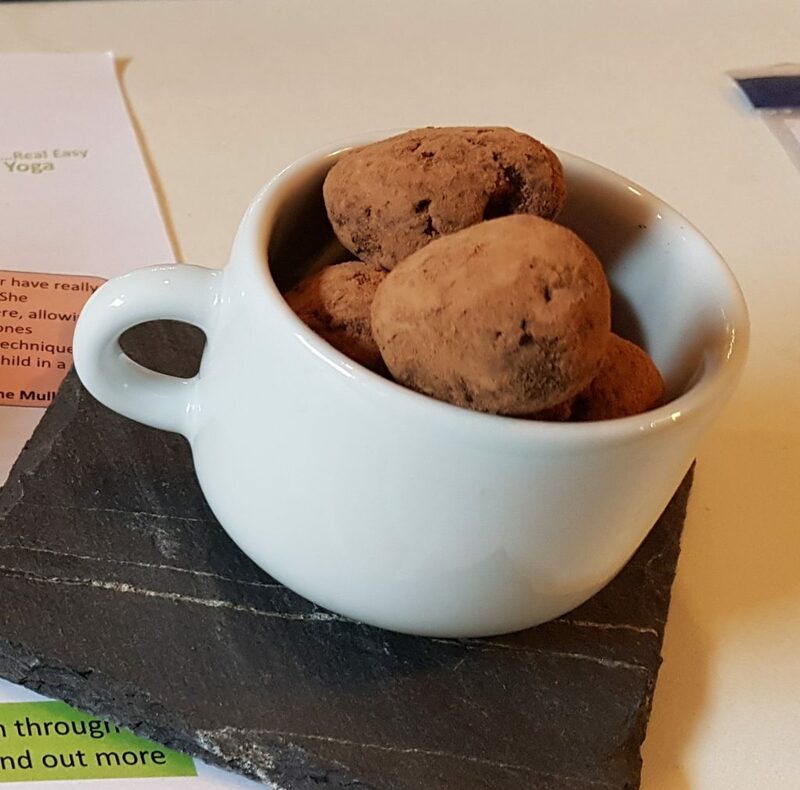 I created this recipe for healthy chocolate fudge drops as I frequently get asked for ideas to help people with sugar cravings. More often than not sugar cravings in the evening are due to habits that we have formed. This can be due to a number of things from feeling like we deserve a treat after a stressful day to not eating enough and still being hungry. As a result, these delicious chocolate fudge drops are packed full of protein and healthy fats to give you an energy boost and a sweet treat in one go. I’m happy for my toddler to eat them too as they have no added sugar. They are quick and easy to make and don’t require any baking! Making them perfect to make whilst keeping an eye on my toddler! Not only are they tasty they are fantastic if you are breastfeeding to keep your energy levels up or in the early days of long nights with your baby! I like to mix these up a bit and a great way to do this is to make with peanut butter instead. Simply add an extra tbsp of coconut milk and replace the cashew butter with peanut butter. I’d love to hear how you get on with this recipe so leave a comment below. Alternatively click here for more of my healthy treats. I’ve recently embarked on an Ayurvedic journey, looking at tweaking my diet and yoga practice to balance my doshas. Ayurveda is an ancient Indian holistic healing system that focuses on bringing your body, mind and spirit into balance in order to maintain and promote good health. Since having my daughter my health has been better than it has been for a long time, however, the underlying fatigue is hard to manage when I can’t guarantee the length and quality of my sleep in the same way I used to. I therefore felt that it was time to make some changes and get a fresh pair of eyes to look at my body as a whole. As a result of this I am currently working on eating a pitta reducing diet, I am making these changes slowly as I’m fitting it around being a mum and so it’s not as simple as throwing myself into it full throttle. It’s been a fantastic chance for me to experience what my clients do when they have a consultation with me. Why they ask the questions they do and what additional support I can offer. Anyway, enough of me waffling on. Changing the way I eat has given me an excuse to play around with some new recipes and this recipe makes a delicious lunch or evening meal. For the grains I used a bought mix of different grains, but you can use whatever you have in the house. This stew is a great winter warmer. It is jammed packed full of anti-inflammatory ingredients to help keep colds at bay! You can make it on the hob or it works equally well in a slow cooker. This is a great autumn soup, hearty and healthy. Pumpkin is in season and we are just coming to the end of British tomato season, this is a great way to use up and left over tomatoes. Pumpkins contain Vitamin A which aids vision, beta-carotene which plays a role in fighting cancer , fibre which can help you lose weight and help your skin and Vitamin C to help ward off colds. I’m not a big fan of meat replacement products as they are often highly processed, however sometimes it is good to use them if you are cooking a vegetarian dish for meat eaters. This recipe can be made without the meat replacement as it is packed full of goodness from the beans. Some meat replacements are not vegan so leave out if you are making this as a vegan dish. You can use any beans you like but kidney beans are particularly good as they absorb lots of flavour. Kidney beans are a great source of cholesterol lowering fibre. The high fibre content also makes them a great option for diabetics as they help to prevent blood sugar spikes after eating a meal. Kidney beans are a great source of protein too. If that’s not enough to persuade you to eat more kidney beans then how about the fact they contain high levels of vitamins and minerals including molybdenum, folate, copper, magnesium, iron and potassium. I love these healthy, vegan lemon truffles, they are a great treat for when I’m craving something sweet. I like to make a batch and freeze them and then take a few out in a morning so they are defrosted by mid morning ready to have as a snack. Don’t like coconut? Simply roll them in something else such as rose petals, cacao or leave them plain. As well as being a good source of energy and fibre dates are packed full of vitamins and minerals including: calcium, iron, phosphorous, potassium, magnesium and zinc. 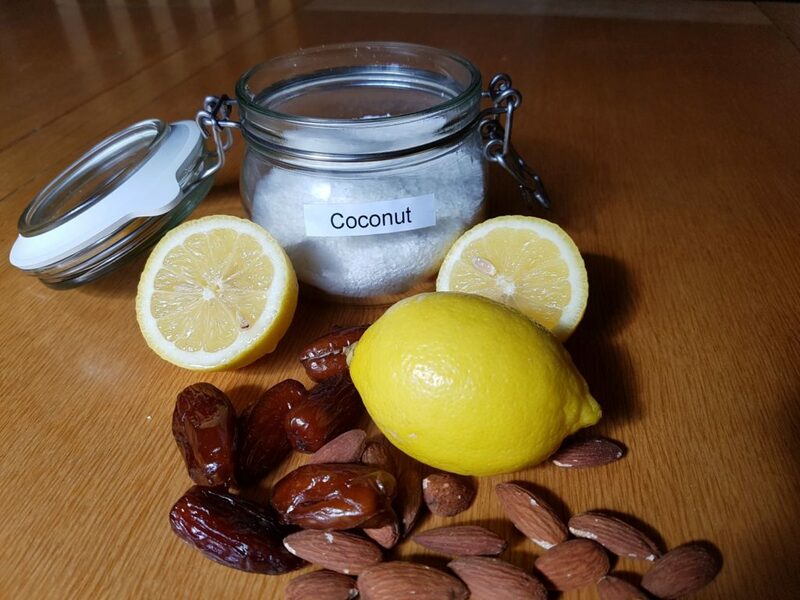 Combined with the almonds these vegan lemon truffles are a great way to boost your brain power and help you to push through the mid-afternoon energy slump! They may be healthy but they still need to be eaten in moderation. When I have clients who need a bit of support to eat in moderation I suggest making a batch and freezing them to remove the urge to eat them all in one go. They will keep for about a week if stored in an airtight container. Alternatively as mentioned above they can be frozen, simply place in a tupperwear tub and put them in the freezer. I’d love to hear how you’ve got on with this recipe so leave me a comment and photo below. If you’ve enjoyed these healthy, vegan truffles then why not check out more of my healthy snack recipes.